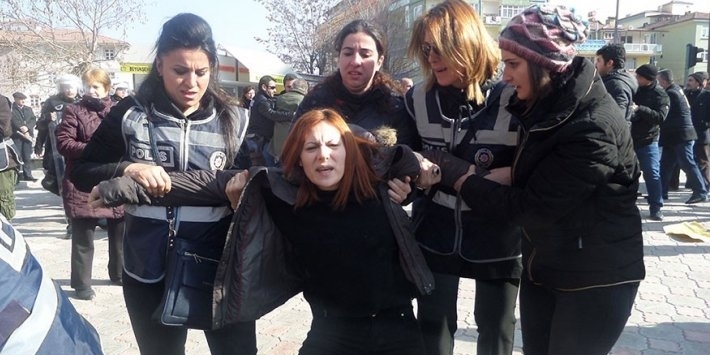 At least 31 former public workers were detained during a demonstration to protest their dismissals in Malatya province, on Saturday. The Confederation of Public Employees’ Trade Unions (KESK) members organized a demonstration against the government’s purge of critics in the aftermath of July 15. At least 130,000 people have lost their jobs over their links to the alleged coup plotters since July 15, 2016. Malatya police, during the protest, detained 31 people including executives from KESK.